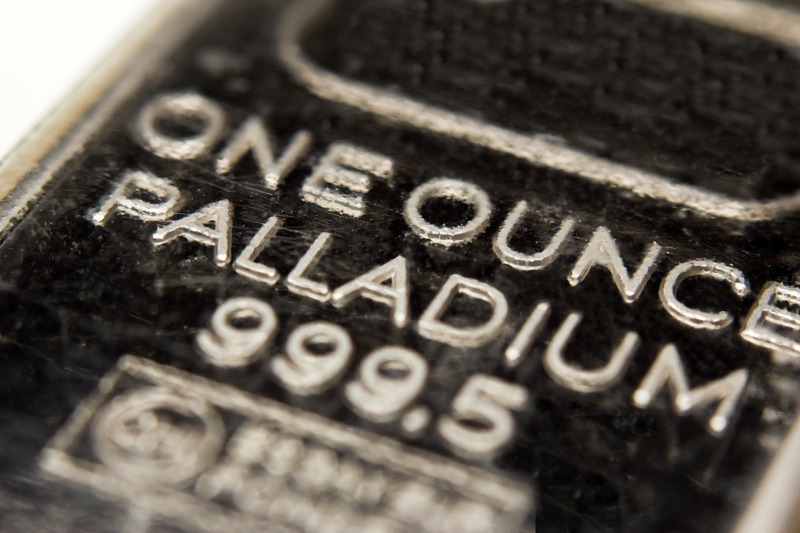 (Bloomberg) —The year’s barely started and palladium markets are set to break another record. 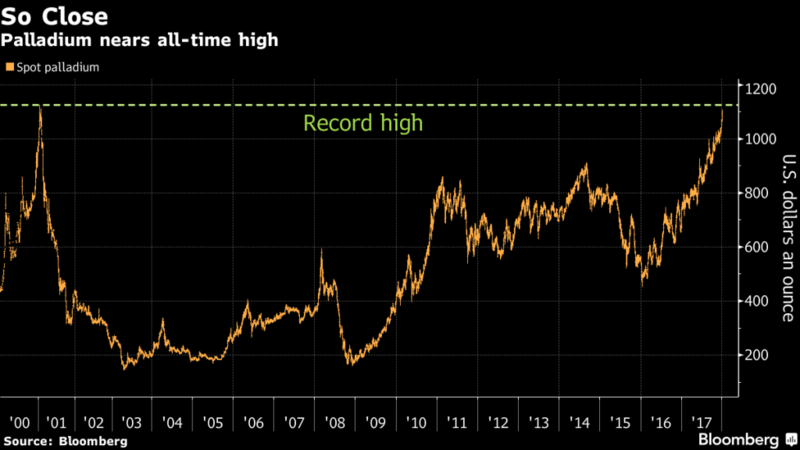 The spot price for the precious metal only needs to climb by another 1.6 percent in London trading to push past an all-time high that’s stood for 17 years. At the current pace of gains, that could happen within days. New York futures for the metal, used to cut car exhaust fumes, already touched the highest for a most-active contract in records going back to 1986. Other commodities have a lot further to go. 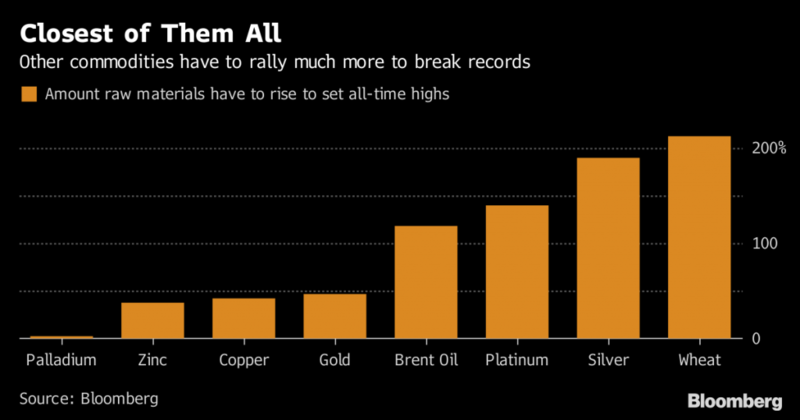 Gold is about a third off its record of $1,921.17 an ounce reached in 2011, Brent crude is trading at half its peak and wheat would need to triple to approach an all-time high. One risk for palladium is if car makers start looking to cheaper alternatives like platinum.